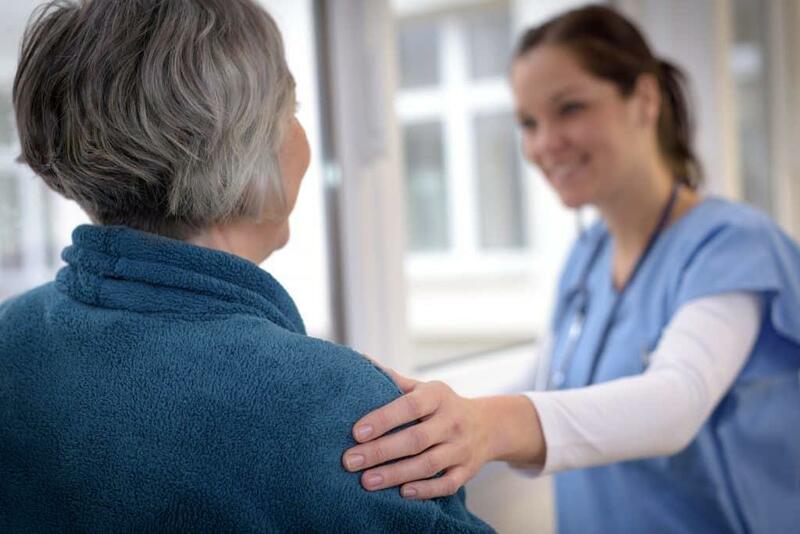 Certified Nursing Assistants help care for those who are physically or mentally ill, disabled, or injured at long-term care facilities, assisted living facilities, and hospitals. As a member of the health care team, CNAs work under the direction of a registered nurse or licensed practical nurse, assisting clients with bathing, dressing, toileting, eating, mobility, and oral care. They may also measure vital signs, provide physical and emotional support, and answer patients’ call lights. If you’re thinking of a career in nursing, working as a CNA is a great way to test the waters. By working with nurses and other members of the healthcare team, you’ll discover if you have what it takes to become a nurse. According to the U.S. Bureau of Labor Statistics, employment for nursing assistants will rise by 20 percent during the years 2010 to 2020. The projected growth rate is faster than the average for all other occupations. It Works Learning Center, Inc. provides nursing assistant students with the very best CNA/GNA training needed to succeed as health care professionals. Graduates are eligible to take the state competency exam and receive lifetime job placement assistance. Day or evening class schedules are available. Daytime sessions meet 3 days a week for 9 weeks and evening (part-time) classes meet 2 days a week for 13 weeks. The curriculum includes 140 hours of classroom and supervised clinical rotations to prepare graduates with certified nursing assistant training and geriatric nursing assistant training. Applicants do not need a high school diploma to enroll. However, they must be able to read and comprehend English as a minimum eighth-grade level. A criminal background check, physical exam, immunization, and TB clearance are needed for clinical placement. American Heart Association or Red Cross “Healthcare Provider” CPR and First Aid certifications are available for an additional cost of $60. The tuition of $1,800 is payable using a flexible payment plan. The initial $50 registration fee secures a seat in the class, $350 is payable on the first day of classes and the final $1400 may be paid weekly, biweekly, or monthly. Tuition does not include the cost of PPD screening, background check and fingerprinting, scrubs, and state testing and licensing. American Red Cross facilitates a nursing assistant program that prepares students for state certification and employment as a Certified Nursing Assistant. The curriculum provides 114 hours of instruction (72 hours) and skills training (42 hours) that graduates need to provide quality care for residents in nursing homes, hospitals, and patients’ homes. The fast-paced program exceeds federal and state training requirements for certified nursing assistants and geriatric nursing assistants. Graduates begin working at reputable facilities within 4 to 6 weeks of graduation. Day and evening schedules are available. Day classes meet Monday through Friday from 9 am to 2 pm for 4 to 6 weeks. Evening classes meet Monday, Tuesday, and Thursday from 6 pm to 10 pm for 7 to 8 weeks. Clinical rotations run from 6:45 am to 3:15 pm for all classes. Course topics include infection control, communication, patients’ rights, mothers and newborns, and Alzheimer’s diseases and AIDS care. Applicants must attend an information session before applying for enrollment. The Maryland Board of Nursing approved nursing assistant program at Stein Academy includes 15 contact hours of classroom work and supervised clinical experiences. Prospective students must pass a pre-admission test or submit evidence of successfully completing high school or equivalent, possess a social security card, US immigrations number and a photo ID, obtain TB clearance (not older than 6 months), and provide proof of immunization against Hepatitis B, varicella, and MMR (a signed waiver is also acceptable), proof of health insurance coverage, a physical exam report, and current CPR and First Aid training. All applicants must be 17 years or older by the last scheduled class meeting. A criminal background check is required to apply for certification from the Maryland Board of Nursing. Classes run for 4 weeks based on the weekday/evening schedule or 8.5 weeks based on a weekend schedule. Tuition and lab fee costs $995. There is a non-refundable registration fee of $50. Additional costs include pre-admission testing, books, uniform, fingerprint and background check fee, GNA review, GNA review book. The nursing assistant program at Caroline Center is approved by the Maryland Board of Nursing. Students receive a thorough understanding of the role and responsibilities of a nursing assistant in a healthcare environment. The curriculum is divided into theory and clinical skills practice to prepare students for success in the certification exam and employment in the healthcare field. Course topics include legal and ethical principles, infection control, anatomy and physiology, dementia care, health terminology, vital signs, and rehabilitative techniques. Before clinical placement, students develop their clinical skills by practicing in the school’s state-of-the-art lab in groups of 8 to 10. The one-week supervised clinical experience is an opportunity for students to assist residents with personal care. Students who successfully complete the classroom and clinical training requirements are eligible to take the GNA examination at Caroline Center’s approved test site. Prospective students must be Baltimore City residents, be 20 years or older, have a high school diploma or GED, successfully complete the TABE Locator reading and math test, and pass an admissions interview. A background check is required for all students. Classes meet Monday through Friday from 9 am to 3 pm for 15 weeks. All students accepted into the program are awarded a scholarship the covers tuition, books, uniform, and supplies. The costs for a criminal background check, certification exam, and liability insurance are the student’s responsibility. 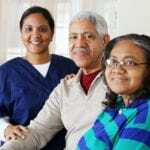 The certified nursing assistant and geriatric nursing assistant program at Health Focus, Inc equip students with the skills to begin working as a CNA, HHA, PCA, or companion to seniors in long-term care or assisted living facilities. The comprehensive program prepares students for certification in a matter of weeks. Students learn personal care, interpersonal skills, psychosocial needs, infection control, patient diet and nutrition, ambulatory transfers, preventative healthcare methods, quality work improvement, safety and emergency, documentation and charting, fluid intake and output, observation and reporting, and basic nursing and restorative skills. During the supervised clinical experience, students assist patients with daily tasks such as feeding, bathing, and dressing. At 114.5 clock hours of classroom and clinical training, the program meets federal and state requirements for CNAs and GNAs. All applicants must be 18 years or older, submit proof of negative TB skin test or chest x-ray, high school completion or GED, Hepatitis B vaccination or waiver, current physical exam, and photo ID and social security card. Students are enrolled on a first come first served basis. The total cost of attendance is $1,420 inclusive of tuition, registration, books, lab fee, supply kit, CPR/AED, fingerprinting, GNA state exam, and CNA certification fee. Top Knowledge Healthcare Institute accepts students who may not have a high school diploma or GED. At the time of registration, applicants must be 18 years or older, have a photo ID and social security card, complete the enrollment application, take the Wonderlic Basic Skills Test (for applicants with no high school diploma or GED), and pay the $100 registration fee. Upon acceptance to the program, students must complete a background check, obtain CPR certification from the American Red Cross or American Heart Association, and submit proof of PPD test, hepatitis B vaccine or signed waiver, and a copy of a current health physical exam. Flexible morning, evening, and weekend schedules are available to fit lives of busy students. Day classes meet for 6 weeks, evening classes meet for 8 weeks, and weekend classes meet for 11 weeks. Tuition costs $1,045 plus $100 for registration. The nurse assistant course at CCBC prepares students for certification as a CNA and a GNA in Maryland State. Upon completion of the program, students will receive a Certificate of Completion. The program is designed to be completed in 1 to 3 months. The course series is offered from September to December, January to March, and May to June at different CCBC locations. Daytime and evening schedules are available. Applicants to the program must have a high school diploma or GED, be computer literate, and have internet access. Prior to the commencement of the program, students must submit a negative PPD or chest x-ray, positive titer of proof of MMR and varicella immunization, hepatitis B vaccination, tetanus shot, a completed physician exam report, proof of health insurance, and current flu vaccination. Students will be expected to complete two background checks and a urine drug test to participate in the mandatory clinical. Prerequisite courses include HIPAA training and CPR for Health Care Providers. Tuition for the program is $1166. Fees cost an estimated $881. The Nursing Assistant program at BCCC is approved by the Maryland Board of Nursing. The program provides the knowledge and skills that students need to seek employment in long-term and acute care facilities. The curriculum combines nursing assistant theory with a clinical practicum so graduates can succeed on the certification exam. Applicants must complete medical terminology before enrolling the theory component. They must obtain prior approval from the department before registering for the nursing assistant course. The results of a TB test or chest x-ray, proof of MMR immunization or a positive titer, heptatis B vaccination, varicella immunization, and influenza vaccination, a federal and state background check report, and a passing score on the math and reading assessment must be submitted during registration. The curriculum covers a total of 144 contact hours: 104 hours in the classroom followed by 40 hours in a clinical setting to apply the skills learned in the classroom. The clinical hours are Monday through Friday from 7am to 4pm. 100% attendance is mandatory. Tuition and fees for the program cost $1190. Participants must purchase uniform, a stethoscope and a watch with a second hand for the clinical experience. The nursing assistant program at Gandhi Health Career Services prepares students for CNA and GNA certification in the state of Maryland. The program operates with the approval of the Maryland Board of Nursing. It includes classroom instruction and practical learning experiences in a skills lab and at a clinical site. Students must complete 129 hours to complete the program, spending 89 hours in the classroom and 40 hours for the clinical experience. Weekday, evening and weekend schedules are available. Weekday students will complete the program in 5.2 weeks and the evening class will run for 7.5 weeks. To receive a Certificate of Completion, students must have an attendance rate of 90% or better for the theory portion and 100% for the clinical portion and earn a passing score of at least 80% in all areas. Tuition costs $950 and does not include the $50 registration fee. Students must also budget for the course textbook, uniform, and clinical supplies.